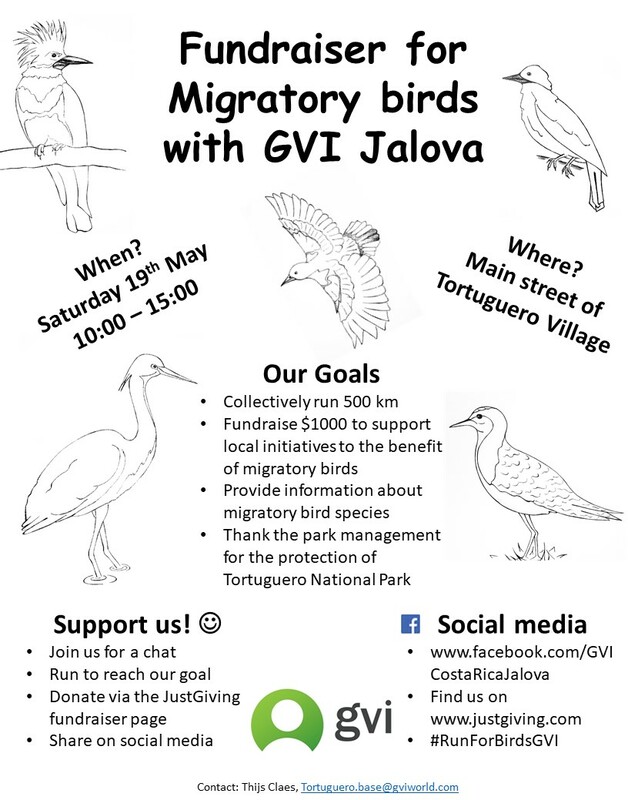 GVI Jalova staff members and volunteers will collectively run 500km along the main street of Tortuguero, a distance that approximately equals that of a migratory bird on their journey to breeding areas in North America. Meanwhile, we will engage participation of the tourism industry and the local community. The funds will go towards modifying park windows so birds no longer collide with them, and towards a local tree nursery, both initiatives from ACTO (Area de Conservation Tortuguero). We want to thank the park rangers and management whilst increasing awareness amongst tourists.